Portfolio Categories: Commercial and Land. 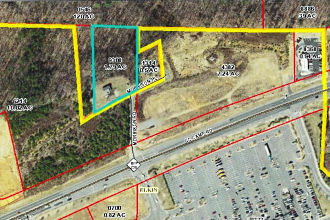 SOLD | 2.079 acres – great opportunity for commercial investment along main thoroughfare in Elkin across from Super Wal-mart, Zaxby’s and shopping mall. House being sold “as is where is.” Possibility of leasing dwelling as interim use. Currently zoned R20 and adjoins B2 (Highway Business) zoning. 2015 AADT traffic count between 16,000 and 10,000 vehicles. Motivated seller.